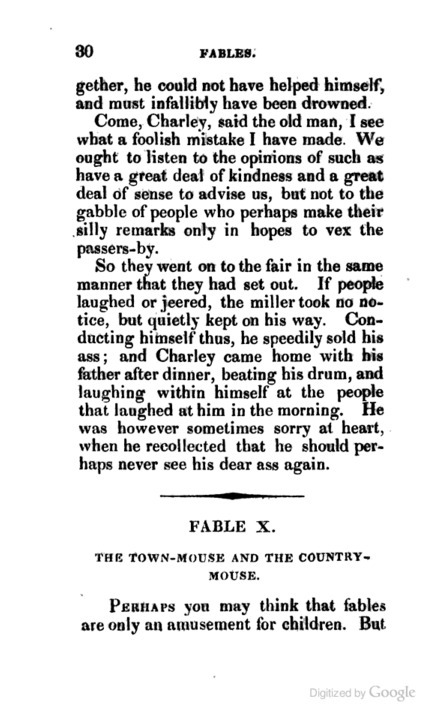 Horace's version (56) of the town mouse and the country mouse is currently the oldest variant in this collection. It's also one of the most influential, as I discuss in greater detail here. 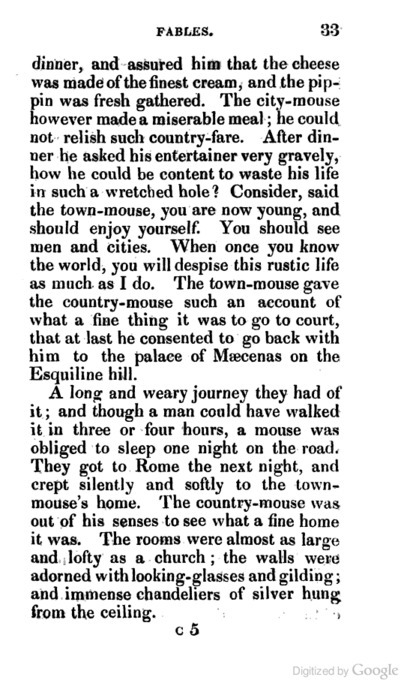 This 19th century variant of the fable, told almost 2,000 years later, actually has the town and country mouse living in different sections of Horace's Rome. 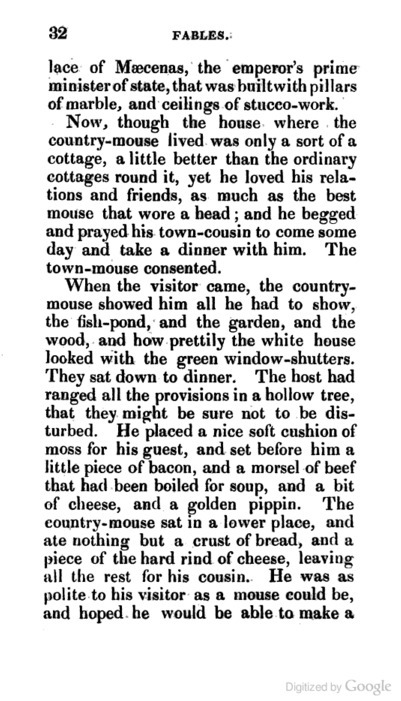 The country mouse lives on Horace's farm and the Town mouse lives in the mansion of Maecenas, the prime minister of the Roman emperor Octavian. 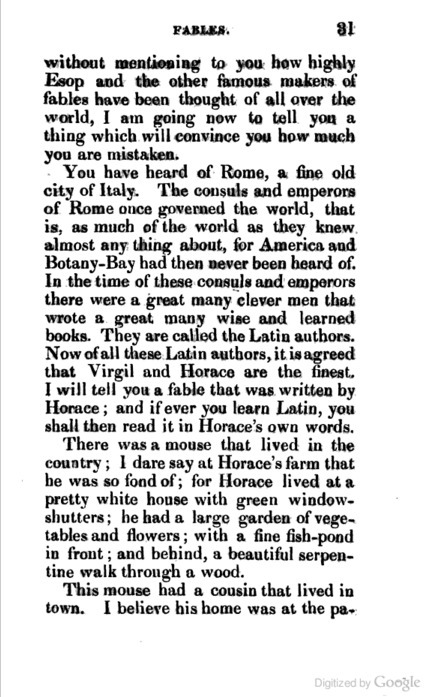 This version is quite long and includes extended descriptive passages of both locations, describing Horace's residence as "a pretty white house with green window-shutters" and Maecenas' residence as having "walls...adorned with looking-glasses and guilding; and immense chandeliers of silver." 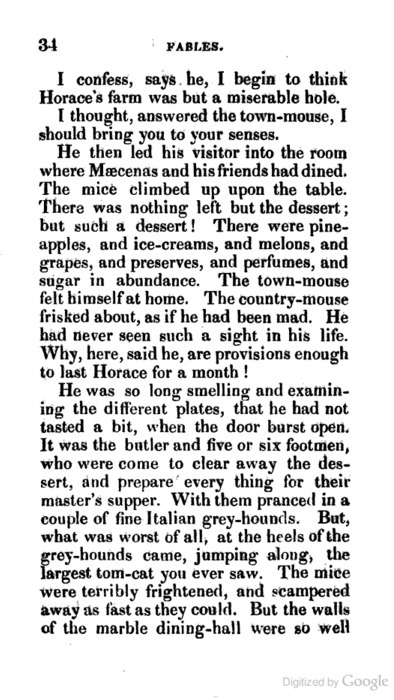 The "town foods" mentioned in this variant are also interesting: Pineapples and Ice Cream, two foods which the Romans did not have, but which would have been delicacies of a sort in 19th century England. 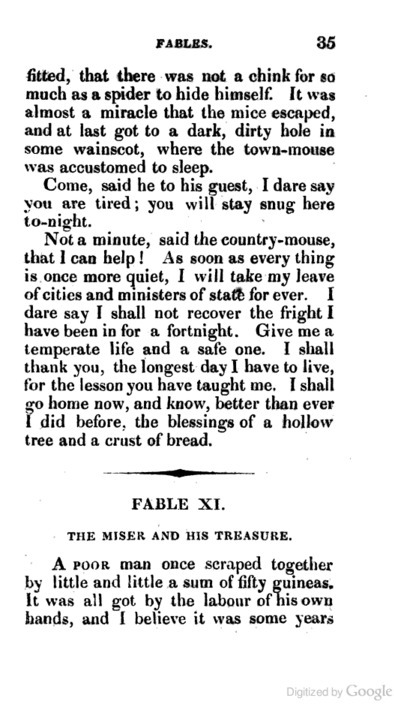 All in all, this variant provides an interesting look at how the 19th century C.E. saw the last century B.C.E.